« *** WINNERS *** Peggy and Melissa are Living the Life of Riley! CONGRATULATIONS! If you ever visit my house, you will realize in an instant that I love personalized items! There's just something about having your name on your possessions which immediately makes them more special and unique. When I was a child, I loved having a sign on the outside of my door, declaring to the entire world that this room was MY ROOM! 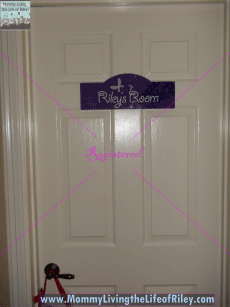 Since having Riley, I've looked here and there for a personalized room sign for her door, but could never find one I liked. We have the type of doors that you can't hammer a nail into and so the sign had to be light. The signs I found which were light enough, turned out to look rather flimsy and cheap. 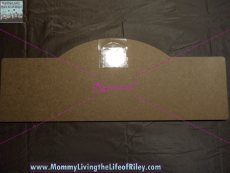 So, when MakeItSpecialGift.com wanted me to review a personalized children's sign for Riley's door, I was hoping that it was what I've been looking for all along. Keep reading to see what I received and whether or not it fit the bill! I reviewed one of the Personalized Children's Signs from MakeItSpecialGift.com, which retails for $40.99, but is currently on sale for $25.99. 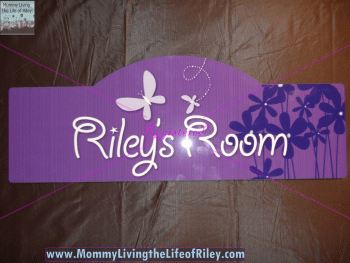 The folks at MakeItSpecialGift.com wanted to pick out the Personalized Children's Room Sign I received for Riley. I had no idea what I was going to get, but I was thrilled when I opened up the box and saw the beautiful purple sign, containing butterflies and flowers! I liked too how this sign was shaped a lot like a street sign...it reminded me of the Sesame Street sign, and boy does Riley LOVE Sesame Street! The font on the sign reminded me of Disney and the font they use, so this sign had plenty of nice touches that made it very kid friendly and fun! 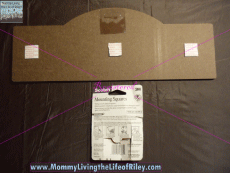 The best part of the Personalized Children's Room Sign, was that it was lightweight AND it was of the highest quality! The lacquered front looked as professional as could be, with "Riley's Room" appearing in the exact same graphics and style as the background images. I've never seen a personalized sign like this where you really couldn't tell the personalization part from the standard graphics of the sign itself. Most of the time, the personalized letters on the signs I've seen before are printed differently, thus making the sign look cheap and of a lower quality. Now it was time to try and hang the sign on Riley's door. Although there was a plastic piece stuck on the back which had a hole in it, perfect for hanging on a nail or tack, I decided to use double-sided adhesive tabs, for I can't hammer or stick anything into our doors. I used three pieces of mounting tape which is guaranteed to come off easily and not rip or mar the paint on the door. These pieces of mounting tape claim to hold up to two pounds of weight and I doubt if this sign even weighed a half of a pound, so I was pretty sure this was going to work well. 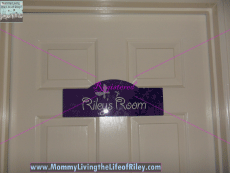 As you can see from the pictures above, the sign looked absolutely gorgeous on the outside of Riley's door and because it was so lightweight, the mounting tape held it securely! I am so very pleased with the quality of the Personalized Children's Room Sign as well as how easy it was to install. If you are looking for an extremely high quality sign in a myriad of styles and patterns for your child's door, then look no further than MakeItSpecialGift.com! Disclosure: I received the Personalized Children's Room Sign from MakeItSpecialGift.com in order to facilitate my review. No other compensation was received. This product review is based on my own personal experiences with this item and is completely honest and objective.